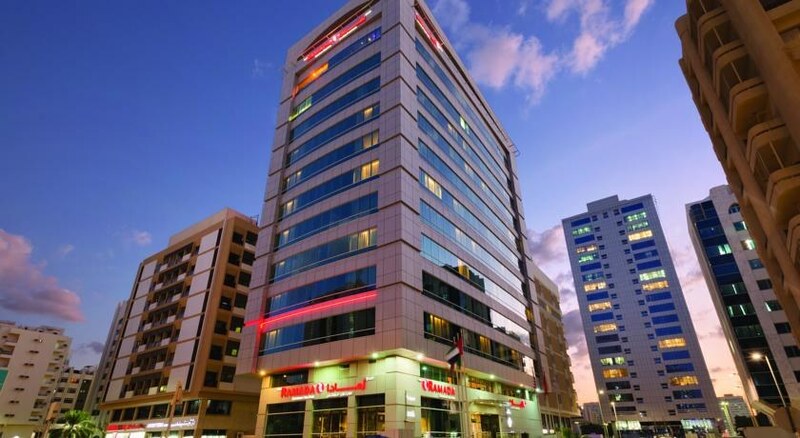 This luxury hotel is located in the heart of Abu Dhabi's banking district, just a few minutes from some of the most important venues and tourist attractions of the capital, such as the souks (open-air markets). 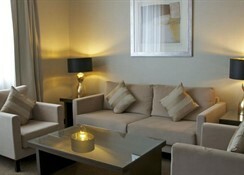 Abu Dhabi International Airport is just a 28-minute drive from this stylish property. This unique establishment boasts an array of spacious, well-appointed rooms and suites to meet all travellers' expectations. Ranging from the Amber Deluxe room to the Topaz Suite, all the accommodation units have been designed with contemporary luxury in mind. Dining facilities include a variety of dining options including a cosy cafÃ© and restaurants serving authentic Korean dishes, fine wines and grilled seafood items. The rest of top quality facilities offer an outdoor swimming pool and a state-of-the-art gymnasium with views overlooking the skyline of Abu Dhabi. This luxury hotel is located in the heart of Abu Dhabi's banking district, just a few minutes from some of the most important venues and tourist attractions of the capital, such as the souks (open-air markets). Abu Dhabi International Airport is just a 28-minute drive from this stylish property. This unique establishment boasts an array of spacious, well-appointed rooms and suites to meet all travellers' expectations. Ranging from the Amber Deluxe room to the Topaz Suite, all the accommodation units have been designed with contemporary luxury in mind. Dining facilities include a variety of dining options including a cozy cafe and restaurants serving authentic Korean dishes, fine wines and grilled seafood items. The rest of top quality facilities offer an outdoor swimming pool and a state-of-the-art gymnasium with views overlooking the skyline of Abu Dhabi. This smoke-free hotel features 2 restaurants, a full-service spa, and an outdoor pool. 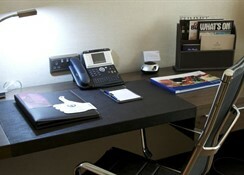 Free Wi-Fi in public areas and free valet parking are also provided. Other amenities include a nightclub, a health club, and a bar/lounge. All 108 rooms feature thoughtful touches like bathrobes and slippers, plus free Wi-Fi, free wired Internet, and flat-screen TVs with satellite channels. 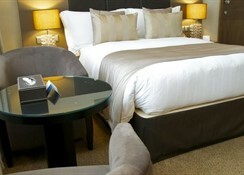 Other amenities available to guests include 24-hour room service, DVD players, and minibars. Limited housekeeping is available. 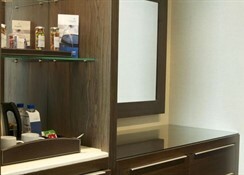 Situated in Abu Dhabi, this spa hotel is within 1 mi (2 km) of Abu Dhabi Commercial Bank and Abu Dhabi Mall. Khalifa Center and Capital Garden are also within 2 mi (3 km). An informal, contemporary restaurant serves Asian and international cuisine. There's a lobby lounge and a rooftop bar. Other amenities include a gym, a swimming pool and a spa. Parking is free.